The battle for top spot in the Atlantic Division begins here. The Ottawa Senators and Montreal Canadiens will play the first of three games in eight days against each other. With only one point separating them, this mini season series can set the stage for the Atlantic Division playoff picture. The Senators beat the Habs twice already this season, though the last game was not since late November. Ottawa rose steadily with a 28-16-6 record after that game, the tenth best record in the league. Montreal had its ups and downs, playing closer to .500 with a 25-19-6 record. Since its coaching change, they have slowly returned to their usual form. 1) The Senators have been very consistent in the latter part of the season. They lost two games in a row only for the first time since Feb. 7. Even more impressive, they have not lost three in a row since Jan. 7. The Senators hope that it lasts a little while longer. 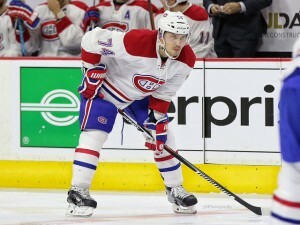 2) There’s no nice way to put it, but Alexei Emelin has been terrible for the Canadiens. In the last few games, he made major mental errors that cost the team several goals against. He even cost an entire game against Chicago on Tuesday. He will sit again, allowing Nathan Beaulieu to draw back him. Beaulieu was “pissed” from missing the last game, so the Canadiens expect him to step up. 3) The Senators have had the upper hand over the Canadiens in the regular season recently. They are 7-3-0 against them dating back to the 2014-15 season. It’s an instance that for some reason, although both teams were even on paper, intangibles gave one team the advantage. 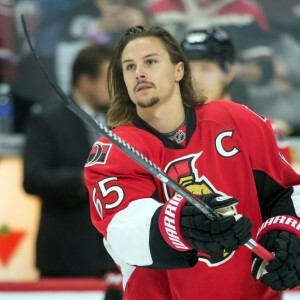 4) When it matters most, the Senators can look to their captain to do the job. Erik Karlsson has been nothing short of spectacular, and many have him back into the Norris Trophy conversation. He has stepped up his offensive game while staying true on the defensive side. Since Feb. 13, he leads all defencemen with 18 points in 16 games. As usual, as Karlsson goes, so too do the Senators. 5) The Senators need to be careful not to get too comfortable, even if they lead the game. The Canadiens are best in the league when trailing after two periods. The Canadiens gained a few victories that way lately and almost did so against Chicago on Tuesday. Both teams will need to perform for 60 minutes to secure the victory.